Prime Minister Shinzo Abe said Monday the Japanese government will raise the consumption tax to 10 percent from the current 8 percent in October next year as planned, after postponing the increase twice due to concerns it would dampen consumer spending and hurt the economy. Confirming that the schedule remains unchanged in an extraordinary Cabinet meeting, Abe said he will make “all-out efforts and take all measures” to prevent the tax hike from having a negative impact on the economy, according to a summary of his remarks released by the government. Although the 3 percentage-point consumption tax increase in 2014 was believed to have led to a brief recession in Japan, the government views another hike as being indispensable for financing increasing social security costs due to the rapidly graying population. Abe, who secured another three-year term as head of the Liberal Democratic Party last month, made the pledge about half a year before local elections nationwide and nearly a year before an upper house election, in an apparent bid to prevent the hike, which is unpopular among many voters, from becoming a major point of debate in the run-up to the politically sensitive events. 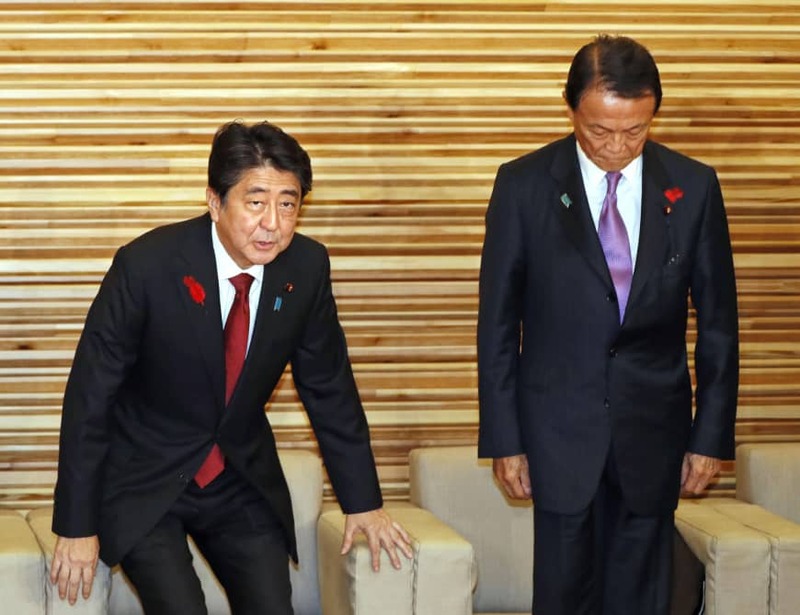 Chief Cabinet Secretary Yoshihide Suga said at a press conference that Abe’s announcement at this point is aimed at advancing discussions on possible countermeasures by the end of the year, when the government will craft its draft budget for the next fiscal year. Suga, however, reiterated the government’s position that the tax hike will be put on hold in the event of a crippling economic crisis, like the one caused by the 2008 collapse of U.S. investment bank Lehman Brothers Holdings Inc. During the extraordinary meeting, the Cabinet also approved a supplementary budget of 935.6 billion yen ($8.37 billion) for fiscal 2018 to promote reconstruction in areas hit by torrential rain, earthquakes and typhoons earlier this year. About half of the expected additional annual revenue from the tax rise, expected to be over 5 trillion yen, will be used to cover rising medical fees, child-rearing and nursing care costs, as well as to finance free preschool education due to start from October next year.